Police say a Cambodian child found the body of Canada-born author and journalist Dave Walker, who had been missing since February 14, in the jungle near Angkor Wat’s Gate of Death, according to a statement by Walker’s family and friends. The statement said a local doctor couldn’t determine the cause of death, and he requested outside assistance for an autopsy. “Dave’s family and loved ones request that the Canadian government begin now to formally investigate, in order to move forward and bring those who were responsible for Dave’s senseless death to justice,” the statement said. Walker, 58, dedicated much of his life to working in Cambodia. He also worked with Leonardo DiCaprio during filming of The Beach and co-authored the book “Hello My Big, Big Honey” along with Bangkok-based writer and photographer Richard Ehrlich in the 1980s. On May 1, Ehrlich posted on Facebook that he lost his best friend. Ehrlich, who has been in contact with Walker’s friends, said in February that Walker’s disappearance is “very unusual”. “Unfortunately, Dave did not take his phone or laptop, so no cell phone signal could be sent to pinpoint his location,” said Ehrlich in Bangkok. Local press reports said Walker’s partner, Sonny Chhoun, helped identify Walker’s body on May 1 by his shoes and clothes. A local press report in February quoted Chhoun as saying he was worried about foul play. Chhoun, a Cambodian who works freelance with foreign journalists, said he contacted hotel staff in Siem Reap who told him that Walker left there on Friday afternoon and did not return. Australian consular officials, who handle Canadian cases in Cambodia, said in February that they were investigating along with local authorities in Siem Reap, site of the fabled Angkor Wat temple ruins. “We are worried about his safety now. Previously, he would usually leave Siem Reap for Thailand for about three or four days, but this time we found that his passport, phone and clothes are still in his guesthouse,” Siem Reap provincial Immigration Police officer Yut Sinin told the Phnom Penh Post. Sinin said he posted a notice seeking information on a Siem Reap expat Facebook group. Ehrlich said Walker, overweight, had knee trouble during his last visit to Bangkok, and declined to have it treated or X-rayed. He had purchased a large plot of land in rural Cambodia, where he hoped to cultivate a farm, and had been interviewing several former Khmer Rouge soldiers, accused of genocide in the 1970s, and their victims. 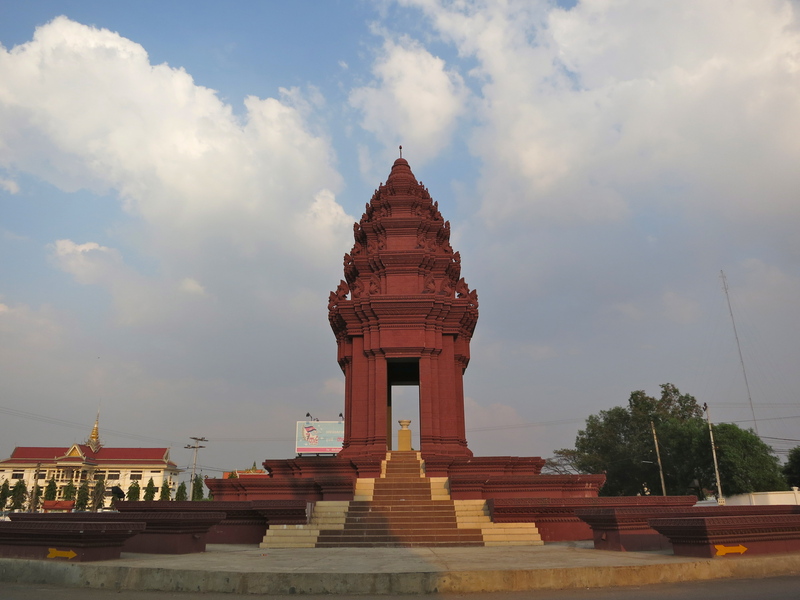 Cambodia, increasingly popular with foreign tourists and expatriates, has a frontier aspect with numerous cases of lawlessness, traffic injuries and fatalities, food poisonings, landmine explosions and violent crimes related to land-deals and ongoing political battles rooted in poverty and war. 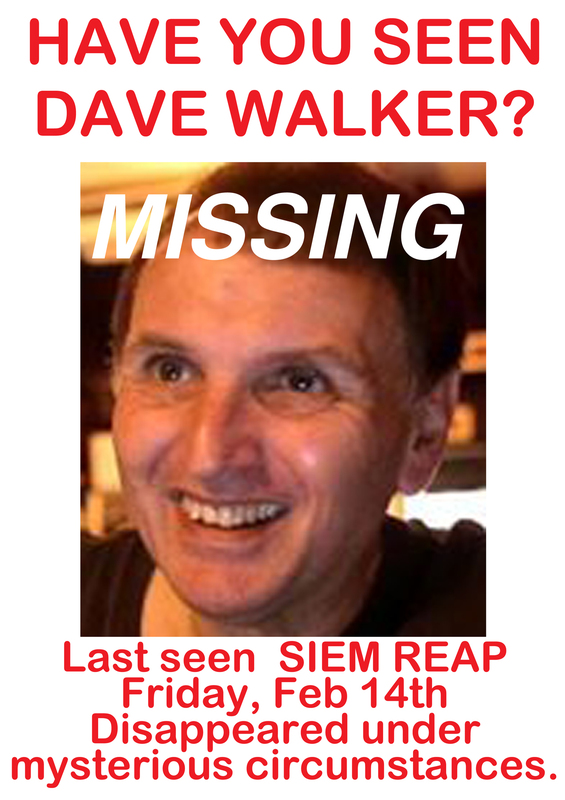 Ehrlich said a number of people were unable to locate Walker at hospitals they contacted in the Siem Reap area. Doctors and nurses at Cambodian hospitals or clinics wouldn’t know much about an injured foreigner with no ID, and they might not bother to contact police or diplomats, Ehrlich said. Responding to letters from friends, Ehrlich had circulated emails suggesting a number of theories, including a traffic accident near Angkor Wat or kidnapping or murder by a paranoid former Khmer Rouge cadre.